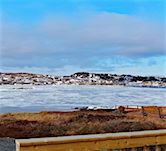 Atlantic Edge is a brand new, top of the line vacation home, situated right at the ocean's edge in the centre of town, overlooking Twillingate Harbour. A wrap around patio with steps leading right to the beach will allow you to enjoy your BBQ and sip your wine while listening to your choice of music as the sun slips over the North Side Hills. Atlantic Edge Vacation Home has been built by David & Christine Boyd, owners of Prime Berth Fishing Museum and Capt Dave’s Boat Tours with your comfort and enjoyment in mind. Atlantic Edge offers 3 bedrooms with queen beds, all with cable TV and wireless internet as well as a 55 inch Smart TV in the living room. A fully equipped kitchen and a BBQ on the patio means you have the choice of preparing your own meals. Air conditioning, washer and dryer included! 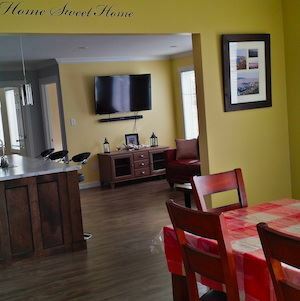 Base price for the full house for a minimum of a two night stay for a single couple is $250.00 per night, with extra pricing for additional guests.